The Cmple Ultra High-Speed HDMI Cable can help you obtain the maximum performance from your latest high-definition electronic devices. Use this cable to connect your HDTV to your cable box, satellite dish, Blu-Ray player, and more, and experience quality audio and video (up to 1080p) from your home. 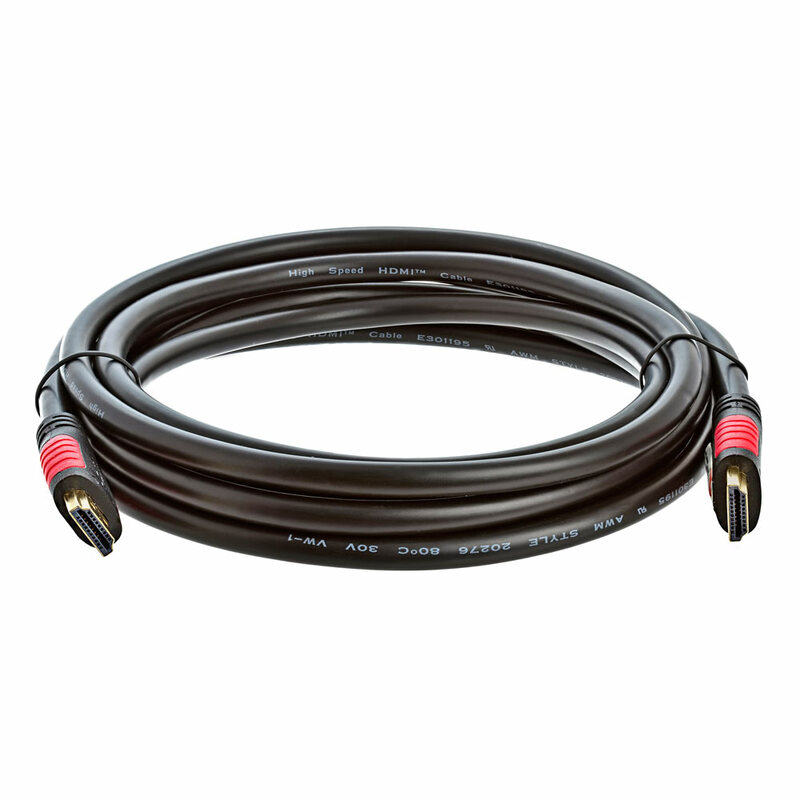 Audio Return Channel Allows an HDMI-connected TV with a built-in tuner to send audio data "upstream" to a surround audio system, eliminating the need for a separate audio cable. 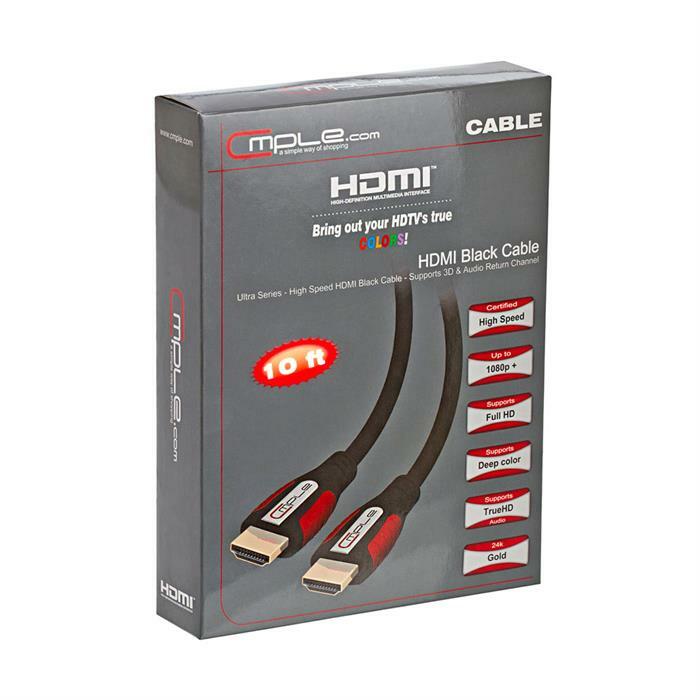 Compatible with 3D TV Technology All current Cmple HDMI cables support the latest HDMI compatible components 3D TV functionality. 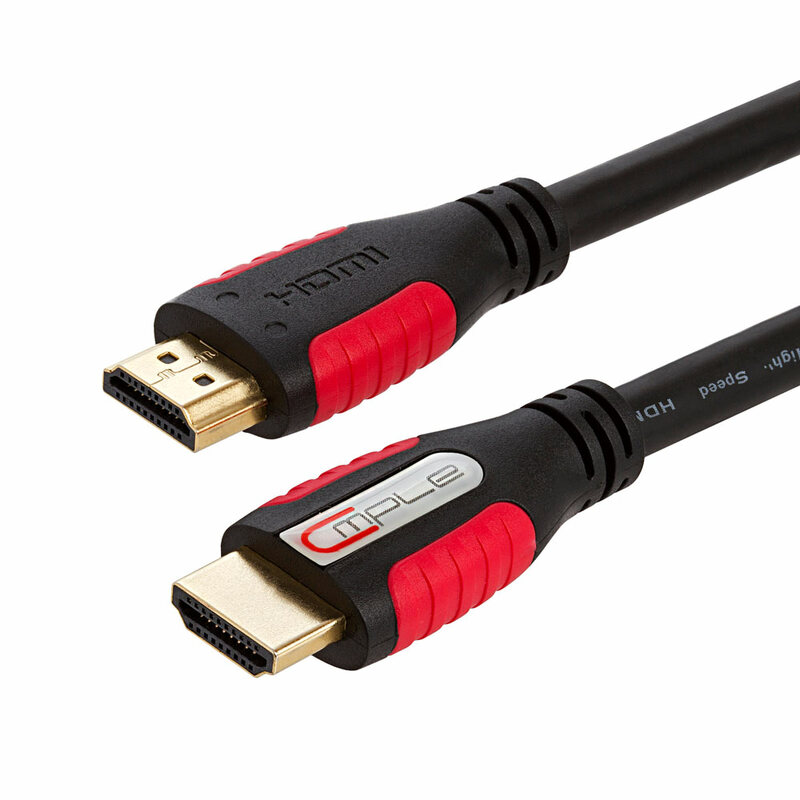 4K x 2K Support Enables video resolutions far beyond 1080p, supporting next-generation displays that will rival the Digital Cinema systems used in many commercial movie theatres. 4K x 2K represents resolutions of 3840x2160 and 4096x2160.